Caroline was with us for a few years. A student of the Union Biblical Seminary- she was a dedicated Christian. She was struck with TB meningitis. She died last week. Q. Where is she now? We don’t grieve like unbelievers. When a near one dies we wonder whether we will ever see them again. Paul is encouraging the people. We are sorrowful but we have hope. When Paul writes he does not do it to condemn tem but to encourage them. When Jesus told the disciples he was going to die, he told them not to be troubled. So Paul tells the Thessalonians not to be ignorant about what is going to happen. One day we will all die. Q. What is going to happen after we die? Our hope is this, one day when we die, we will come to live again. This is referring to our body. The Spirit is alive with Jesus in Heaven- our last breath on earth will be our first breath in heaven. Stephen commended his spirit to Jesus. Jesus said to the thief on the cross- this day you will be with me in paradise. 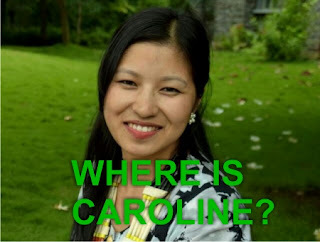 We are sad at Caroline’s death but she is in a much better place. For those who have not put their faith in Jesus are not referred to as “fallen asleep”. They will be judged. It is the saddest thing. Q. How does this affect how we live? We evangelize and tell people about Jesus. The Thessalonians were concerned that if they died before Jesus’ return, would they miss something? 1 Thessalonians 4:14-15- Paul was reassuring them. The dead in Christ will rise first. We all look forward to the second coming of Jesus. In the Old Testament, the trumpet was used to gather people and move on. In the same way, the trumpet will sound. The dead will rise first and we will meet them in the air. This is our hope and future. We are to encourage each other with these words. One day we will be with Jesus forever. In John 14:3- Jesus is preparing a mansion for us. This is the promise of Jesus. This is an amazing hope. When we died, our bodies are conferred to the grave. At Jesus’ second coming, our bodies will join Jesus. 1 Corinthians 15: 51-53- we will all be changed, i.e. glorified bodies. This is our wonderful hope. Caroline’s body will be consigned to the grave but she’s with Jesus forever. Q. How do we live? This is a model for us. 1. Our life needs to be transformed. We turn away from sin and wrong beliefs to serve the living and true God. We need to ask how we can make a difference to our neighbours and the poor. 2. In verse 10, the mindset is that Jesus is coming soon- maybe even tonight. We are prepared and not ashamed to meet Jesus. Haven’t we all faced crises in our lives? When everything is ok it’s easy to praise God. Jehoshaphat was bringing good reforms (ch17) then suddenly in chapter 20 a new crisis came. V2 Jehoshaphat hears that a vast army is comming . Imagine what he must have gone through. He was alarmed. He feared but he set himself to seek god. Chapter 19 Jehoshaphat made an alliance with Ahab. A prophet told him that was not good. 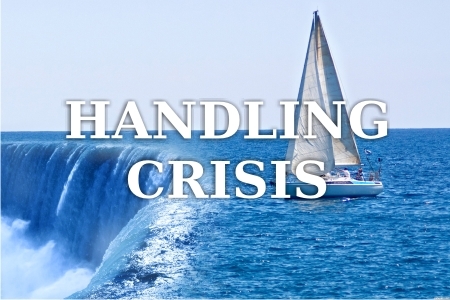 What do we do when we face crises? Sometimes we panic, think about whom we can contact. Jehoshaphat did this. He set himself to seek God and proclaimed a fast. AS a King he could have called his army chief and advisers. He wanted God not to give direction (God do this, God do that) but to get direction. In Daniel, The king asks Daniel not just for the interpretation of the dream but to also tell him what the dream was about. Daniel 2:8 God revealed the dream and the interpretation. Crises times are difficult aren’t they? The whole of Judah rallied around Jehoshaphat because he served them and sought their welfare. 1. Praised God v5. Do we know who our God is? How dies praising god help a situation? Remember Paul and Silas were praising God, Peter slept while the church prayed and God did a miracle. 2. He recalls God’s promises. V7 He recalls God’s goodness. He was going back 1000 years recalling Abraham, 400 years back recalling Joshua and 100 years back recalling King Solomon. He reminded God about Abraham and also when the people dedicated the temple. He was falling on the promises of God. Often in the praise and worship we recount the names of God and the miracles he has done. Why do we do this? To build faith. Let’s recollect who our God is. He is the God of Abraham, Issac and Jacob and He is our God too. 3. Jehoshaphat presents the problem and allows God to judge.v1Those people were the offspring of Esau but he did not touch them. Now they are attacking Israel. We often meet in groups and share our prayer needs. This place is a witness to many prayers being answered. 4.V12. Jehoshaphat ‘s eyes were upon God. He acknowledged his weakness. The fact that we come together and pray shows, that we can’t do anything on our own but look to God in prayer. Recollect the past, rest on His promises, share prayer requests and humble ourselves. V15 The prophet speaks up. The battle belongs to the Lord! God’s word brings encouragement and direction. Many times we struggle because we feel it’s our battle. But when we commit to God the battle belongs to Him. V17-18 God gives clear direction and what to do. God does not deal like a magician. He told them what to do. V20 Many times crisis can make us ineffective. But Jehoshaphat put his faith in God- he was exemplary. Take Gideon who was hiding is called Might Warrior. God strengthens him and he leads people from the front and what a victory! V21 Jehoshaphat consulted the people. He was with the people. The people began to praise God. Panic turns to praise. Several times in the Old Testament we see how God did extraordinary things. So let’s take time to seek God and recall what he has done, claim these promises. We will begin to see change in our lives. We will set an example to others and we will lead from the front. It’s not just that we give but how we give. What is the goal and result of our giving? Why does God want to bless us? It is so that we can be generous on every occasion and it will result in thanksgiving to God on the part of the recipient. So how should we give? The money we get, we use for different things, to different churches, food packages, sponsoring education, etc. Our model for giving should be Jesus. 2 Corinthians 8:9- though rich, he became poor. Jesus gave up the beauty of heaven for us. 1. So we give sacrificially- it should be something that costs us and not from our comfort zone. When Hudson Taylor was preparing to go to China, he started living frugally and gave his money to bless people. 2. 2 Corinthians 9:2- with Eagerness- they were ready and enthusiastic. They were full of joy. b. Verse 6 gives a promise and a condition. We have choice of how we give- sparingly or generously. c. To give from the heart and not the mind. Often the heart and mind can be in conflict. We need to give from the heart and not in a calculated manner. The lady with the alabaster jar gave with her heart. The disciples calculated with their minds and called it a waste. d. Don’t give reluctantly or under compulsion. God loves cheerful/ hilarious giving. 3. Every time there are instructions about giving, God gives faith promises to enable us to give. As you give God will increase you seed so you sow more, to reap more and give more. It starts with Jesus who became poor. As we give God gets the glory. Our giving is a sacrifice. Which area are you lacking in? Is sacrificial giving tough? Or is it cheerful giving or lack of faith? Let’s enter the adventure with God and ask the Holy Spirit to help with this. These messages was preached Colin D Cruz at Word of Grace Church on the October 4th, 2015. To listen/download the audio please click here . To listen to the Sunday's worship and prophetic contributions please click here. Is wealth a bad thing? Should we save? Should we gain wealth? How do we use it? Every year companies release something known as the IPO which is their Initial Public Offer and make their shares available to the Public at a certain price. Usually it’s a company that is doing very well. You apply for 1000 and end up with 100. Why do people queue up to buy these shares? Initially, after purchasing it, the share price shoots. Today I’ll give you another opportunity to participate in something here, not an IPO but our Annual Gift Day offering. This is over and above your regular giving. Why am I relating this to the IPO? 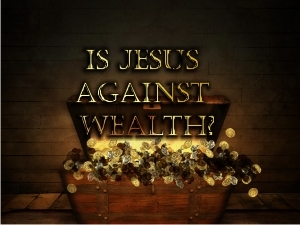 Jesus is not against storing up wealth. It's the location that is important. He says store them up in heaven. Earthly treasures will fade away. What was precious thirty years ago is not today. Technology and time make it takes lose value. Q. How do we store treasures in heaven? There is no western union branch in heaven. One of the ways is by investing our time, talents and treasures into the kingdom- especially to the poor and the work of the church. Q. What kind of offering can we collect? Many years ago, there were 5 of us praying in a small room. Our church was about 15 members. We had a figure of Rs. 50,000 which was a huge sum then. We prayed in faith and believed God and that money had come in. Subsequently, it went on to Rs. 5 lakhs. I know many people who have given not just generously but sacrificially as well. Jesus says where your treasure is there your heart will be also. This is an incredible statement. Jesus gives the solution. It’s the above statement. As we put our money into the kingdom our heart will follow. For example if I tell you on Friday that the price of the shares of a company have gone up by a substantial amount, it doesn’t make any difference to you. But if on Thursday you bought shares from this company, it matters to you that the price of the shares has gone up. Because you’ve invested into it your heart follows. I want to encourage you to obey Jesus’ clear instructions. When we do this our heart will warm up towards the things of the kingdom. Giving is an act of worship. Consider what you may give and store up treasures in heaven. 2 Corinthians 8:2 Paul is commending the Macedonian Church who though poor, they were generous. Today we are not in extreme poverty. But even their extreme poverty welled up in rich generosity. The result is overflowing joy. Have you seen rich people who are unhappy? As we give joy will come into or lives. So let’s watch the attitude with which we give. The Macedonians had great attitude. 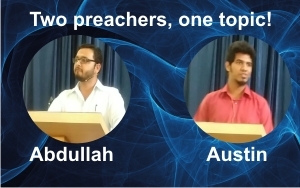 Entirely on their own, they pleaded for the privilege of sharing in this service to the Lord’s people. The reason we want to give generously and sacrificially is because Jesus who though rich became poor. Give and it will be given to you pressed down and shaken together. The heavenly IPO is opening up. And it’s good to do things together. Everything we do without faith is sin. So let’s do this with faith, with rich generosity and with a heart like the Macedonians. All of us have an opportunity to give. When we come to church and we give it’s not because someone is pleading with us to do it. We gladly give because Jesus saved you. Today if you are struggling financially, money is coming in and going out, major expenses coming up, check how is your giving? It’s the heavenly principle, you give and it will be given to you. Ask God to help you give beyond your ability. When you give generously and with the right attitude, it pleases God, it shows that the grace of God is operating in your life and there are definitely blessings that follow. There is blessing in every act of obedience. Today we will look at the story of Naaman the Syrian. Luke 4: 27- And there were many in Israel with leprosy in the time of Elisha the prophet, yet not one of them was cleansed—only Naaman the Syrian. Naaman was a good powerful soldier but was struck with leprosy. He has a servant girl who was an Israelite. God had a purpose for this. Today we are God’s chosen people placed in this world. There should be something about us just like this girl. God has strategically placed us where we are in our work place, city, etc. We have been chosen for obedience to Jesus Christ and for his glory. 2 Kings 5:5- the king of Aram releases Naaman with a letter to the king of Israel. In verse 12, Naaman gets upset with Elijah. God can change situations for you. Hold on, have faith. Your 7 dips are not over yet. Naaman has done 5 dips and there is no change yet. Finally he takes the 7th dip and he is cleansed. That must have been the happiest day of his life. There is blessing in every act of obedience. Leprosy that affects the body is one thing, but what about the soul? Matthew 10:28- Do not be afraid of those who kill the body but cannot kill the soul. Rather, be afraid of the One who can destroy both soul and body in hell. This leprosy of sin is worse. Only Jesus can set us free from this. He is the one greater than Elijah! Often we hear things from God but we don’t obey. In Matthew 4 Jesus is preaching about the kingdom, he is healing the sick and great crowds follow him from everywhere. Jesus goes to the mountain where he gives one of his greatest teaching which ends in chapter 7. Jesus talks about the wise and foolish builders. Both of them listened to the words of Jesus. Both faced the same tests in life but the outcome is different. When we obey it’s like building on the rock. The foolish man disobeyed and it destroyed him. Q. How do we apply? 1. Listening to the word of God- Our daily quiet time, obeying and putting it into practice. 3. Matt 25:35- are we praying for the sick. 4. Practicing hospitality. Heb 13: 1-2- do not neglect hospitality. Invite strangers to your home. Today we have the opportunity to respond as a wise builder.